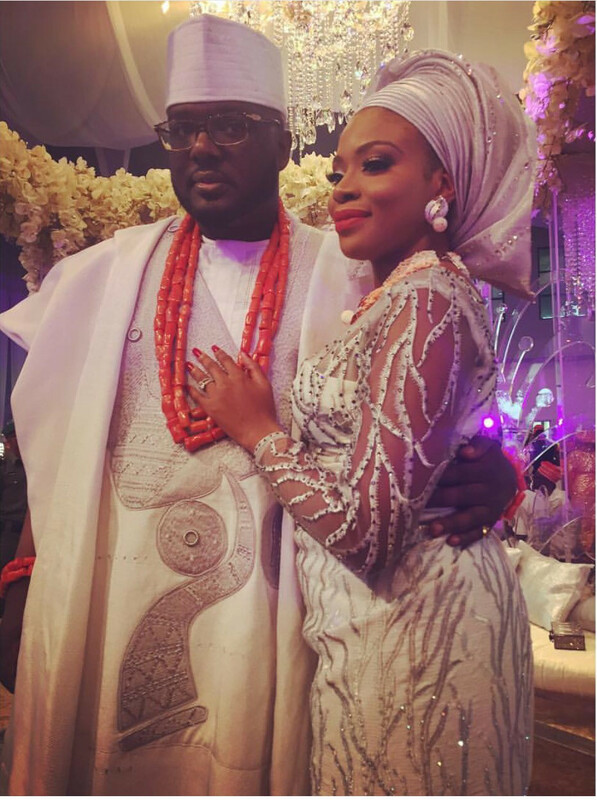 TV host Dolapo Oni & Adegbite Sijuwade are having their traditional wedding today. 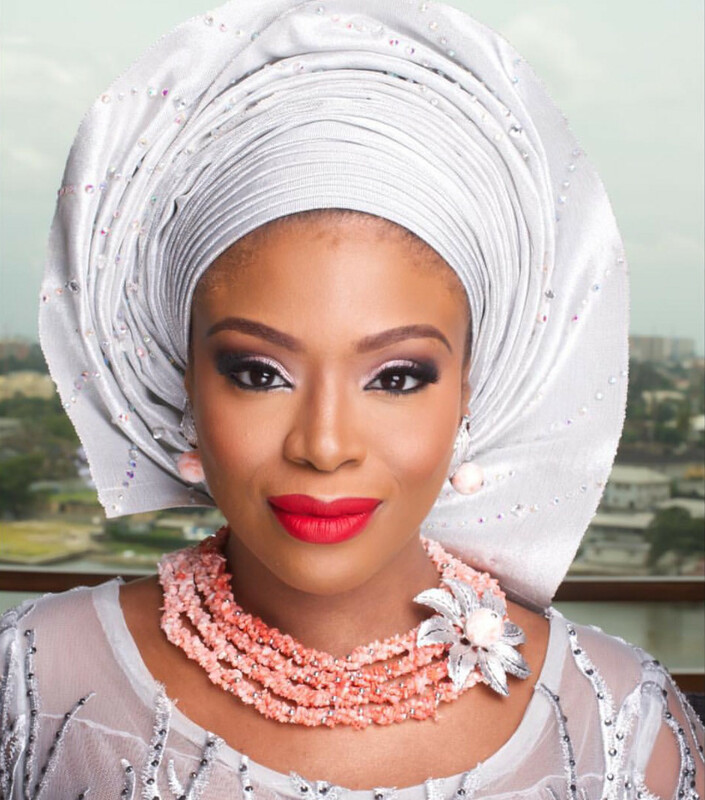 The aso ebi is red and you can expect to see a lot of celebs at the occasion. We will bring you photos of the guests today and the official photos soon, but in the meantime, keep refreshing this page for more! Both bride and groom are wearing white and silver for their first outfits. Their second outfits are mustard and brown. And she obviously don’t like big banana…? Are you tell us that uncle has a small one? Oh! Eni aye! She go dey manage am like that! Wtf, does ur statement mean? Well, did the oba show up? that’s the only way to confirm of he’s dead or alive. Good job! Keep up with the great work. 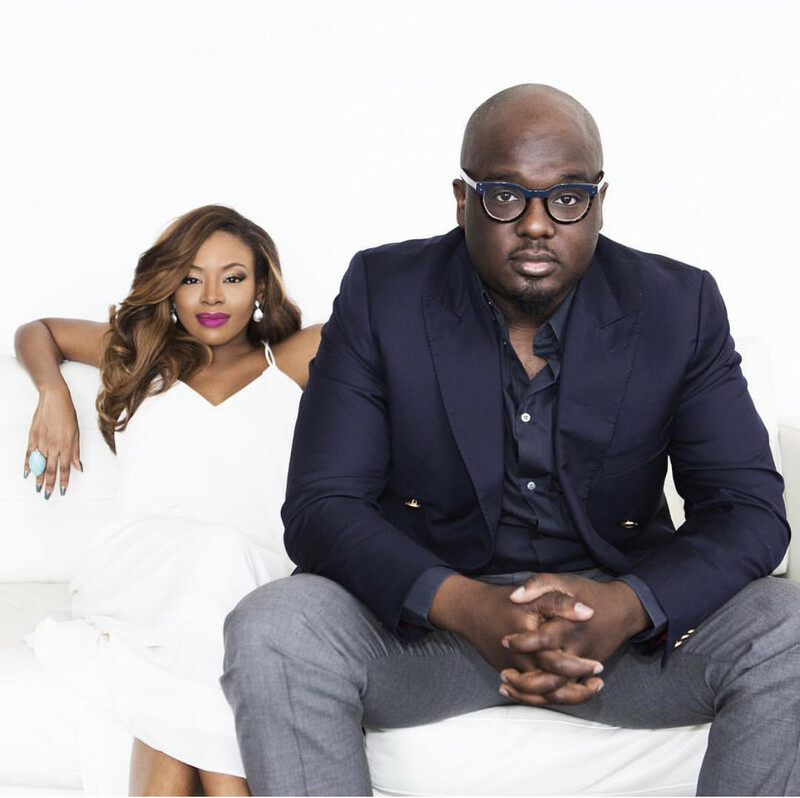 Congratulations to them.Dolapo is someone I really admire. Congrats to her.I love her. Congratulations to future Ooni and his Olori to be. I like the fact he is getting married to a Yoruba lady. There should be an edict mandatng all Princes of key Oduduwa monarchies like Ooni, Alaafin, Alake, Awujale,Deji, Ewi,Soun, Oloffa, Ataoja, Timi, Osi oke ona-egba, Owa-obokun, Olubadan, Oba isale eko and others (not necessarily in order of heirarchy) – to marry only ladies of Yoruba descent ONLY. She could be from Benin Republic, Brazil, Cuba, America or anywhere in the world where Yorubas migrated to-but she must have Oduduwa blood flowing through her veins i.e her forbears must be Yorubas. This is a way to fully preserve our culture, heritage and lineage from dilution. Argue on your timeline, if you must. 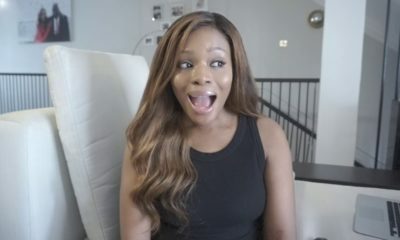 @Idomagirl, your ‘hian’ had me in stitches! Gbite is not even 10th in line. Lmao. Afi futture Ooni naa. E ma tan ara yin. The next Ooni is not going to be from this family. …due for an eye test maybe? Na wa for you o! Generally all these royal pple dont even marry outside their tribe, and in case u dont know it will be another families turn. Their might not be another olubuse sijuade in another four generations. This is not english monarchy. All the families of the sons of d first oba will have it rotate around their houses. Dts why they ask in yorubaland nibonile baba re ni le yi, kiloriki yin. And pls drop d bigotry babe, its not who we are. Is it not a shame that you are advocating making a law to force these men to marry women of Yoruba origin?? Lmao!!?? Have Yoruba women become so undesirable and unwanted that a law has to be made to force their ‘princes” to marry their women. In trying to bathe and perfume your bigotry, you also ended up insulting Yoruba women!! Kudos! Argue with your new found madness. @Ijebujesha….I don’t think the world is complaining. Were ni eleyi O. Does the fact that Yorubas are the most diasporic group not also mean that they have accommodated and imbibed several cultures and traditions along the way? Is this same openness (though borne out of greed at certain points in history) not the reason we are more prosperous and culturally diverse than most others? Our bloodline is very diluted, and we’re proud of it. Please don’t set us back 600 years with this stupid comment of yours, you troll. Your ‘Jango’ no get the ‘D’? Nigeria. Oh so many problems. How do we survive with tribalists everywhere? he is not the future ooni ooo! the new ooni is from another family oo. I love Dolapo. I really do, her demeanor from Moments with Mo. The chemistry she had with Bolanle was off the hook, a great presenter a pretty woman. Congrats! God bless your home. It’s not our saying. It is borrowed. I love you to the moon and back: it means I love you more than anything/forever/It’s showing the “length” of your love. Its a long way away to the moon and back. Meanwhile, the bride is obviously pregnant as well. Congrats! Please what is this ijebujesha saying? HML Dolapo and Gbite. the mustard outfit is amazing! 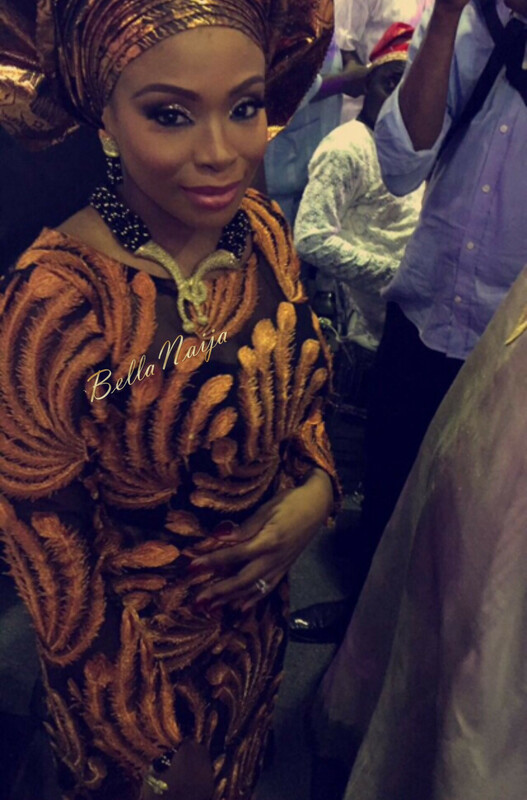 dolapo looks older than her husband though. @ijebujesha take several seats biko. When will Africans stop all this…u must marry from this particular state,tribe/ back ground? Wen wld u learn its not Abt race, cultural belief, ethnicity or tribe? It’s abt finding someone u love and understand and can spend d rest of ur life with in PEACE.So if the almighty prince had married an American or say an Indian or even an Igbo woman u for flog am 24 abi? Kcheeeeew. Smh ignorance is really a disease. Get well soon! It is not peculiar to Africans. Royal blood lines in Europe, Asia and the Arabia are seriously constrained with respect to choosing a spouse. Recall recent and not too recent history in British royalty as regards marriage/ romantic relationships. At the person that said all Nigerian brides look the same. This is a traditional wedding. Key word being TRADITION. We are people of culture and a wedding ceremony is not generally the best place to push the envelope or you run the risk of looking ridiculous. Save that mindset for Halloween. There is beauty in doing things properly and the way it is meant to be done. 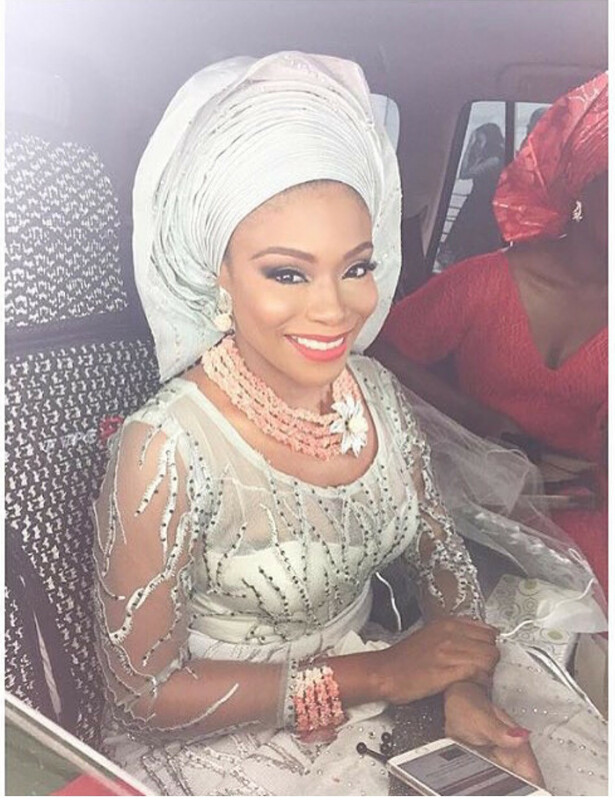 Yoruba traditional attire is a classic look/outfit worn by brides of Yoruba descent. So if they all look alike, well gee captain obvious. That is kind of the point! Donsu, dodosh. I think she is talking about concept.m is there only one way to tiie gele? 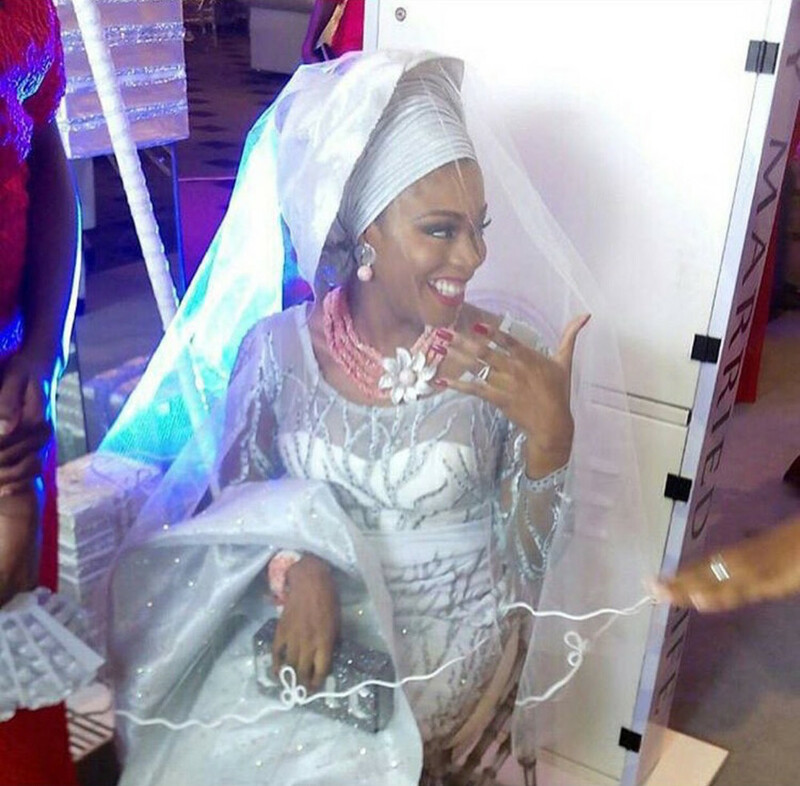 @ Dolapo, is that the only gele style you av seen??? That henceforth, every yoruba man must marry fellow yoruba woman to avoid pollution and contamination of the yoruba culture! Oro oshi! @ijebu. The yoruba royal families do not marry outside their tribes. Other tribes yes i know. Wonder what happened to the edo young king that schoooled abroad . Brought a whitewoman as his queen. He was adamant she will be his queen. The longthroat white woman no wan gree too . But the elders shouted sacrilege. Wonder if its been rectified or the whitewoman is their queen. Anyway to each its own. 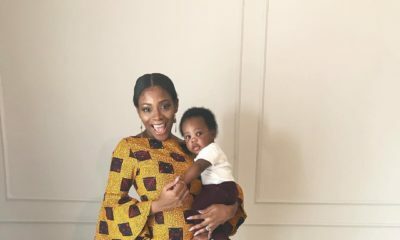 Congrats to dolapo and the prince. 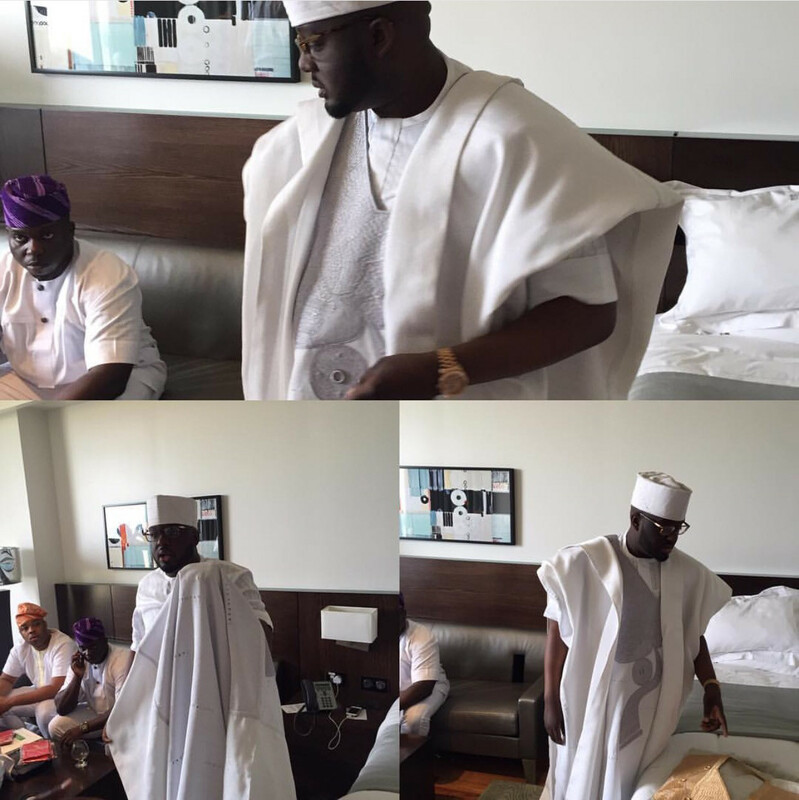 The Ooni’s first son married a woman from Kaduna State. Ermmm.. Nope. The Obi of Agbor aint married and he never brought home a white woman. People sha. Where did this gist emanate from? What are you talking about? ‘Edo young king’ does t exist. The current of Oba of Benin is 92 and his wives are all Bini. And how people use banke meshida or bimpe onakoya for bridal makeup is beyond me. And Bankeneeds to UP her game I mean shes one of the fore runners have a signature BM something makeup artists like Beautyandbeholder jaga beauty tintsandpro etc are taking over…. She’s the legend in that business though. She looks pregnant, or mayb I’m due for eye check up! @Amh The yoruba royal families marry outside their tribe. I am from a royal family and my brother married from the East. Happy married life to dolapo and her hubby. 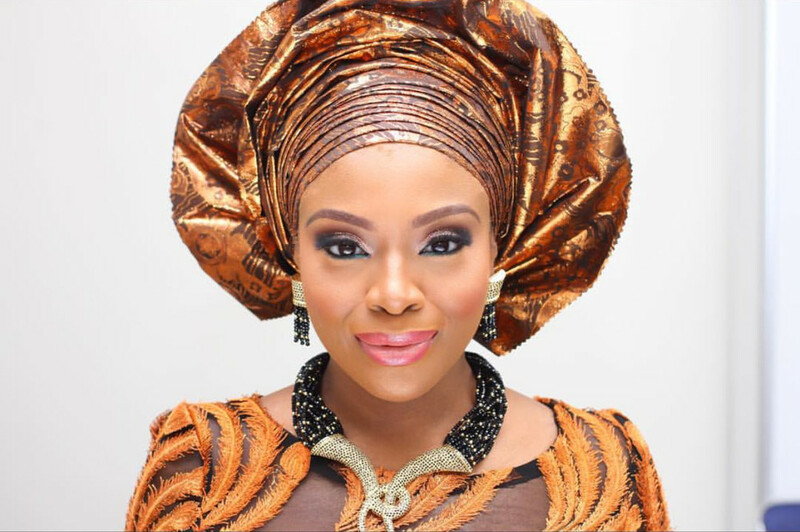 Looks can be deceptive….If bolanle be like her mother yemisi i am very sorry for the unlucky guy that get sucked in with her looks…. Biko serve this tea lol. How you gotta leave pesin hangin like that? Na wa for pple and their bad belle on d internet. So bcos u had some experience wt her mum dt means no guy shld marry her abi. Youre definitely just a jealous b****ch. 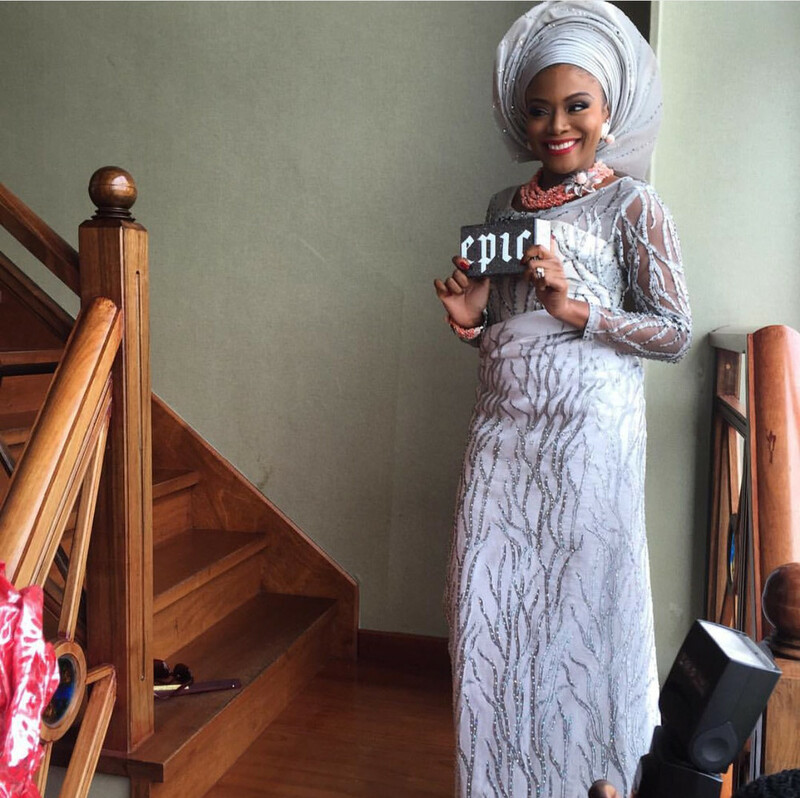 And her sister married cobhams dt blind musician – dt tells me d girl was raised right. Not a lot of women wld do dt, or even be allowed to by their family. Gerroura here. Honestly @Jummai Hauwa. I don”t know why I love her so much too. Anytime I see her pictures I just smile. Same with Genevieve. I guess because am petite like them. lol . Congratulations Dolapo and Gbeti. Continue to enjoy God”s love in your marriage. At the above princess. Kindly tell us which yoruba kingdom the prince married from the east. The prince gangan not one born outside to mistress. Banke meshida makeup is predictable. But shes a pioneer and hence she courted by the rich and famous. Shes earned her spot anyway. I reckon shes seen as the best in elite bridal circle. 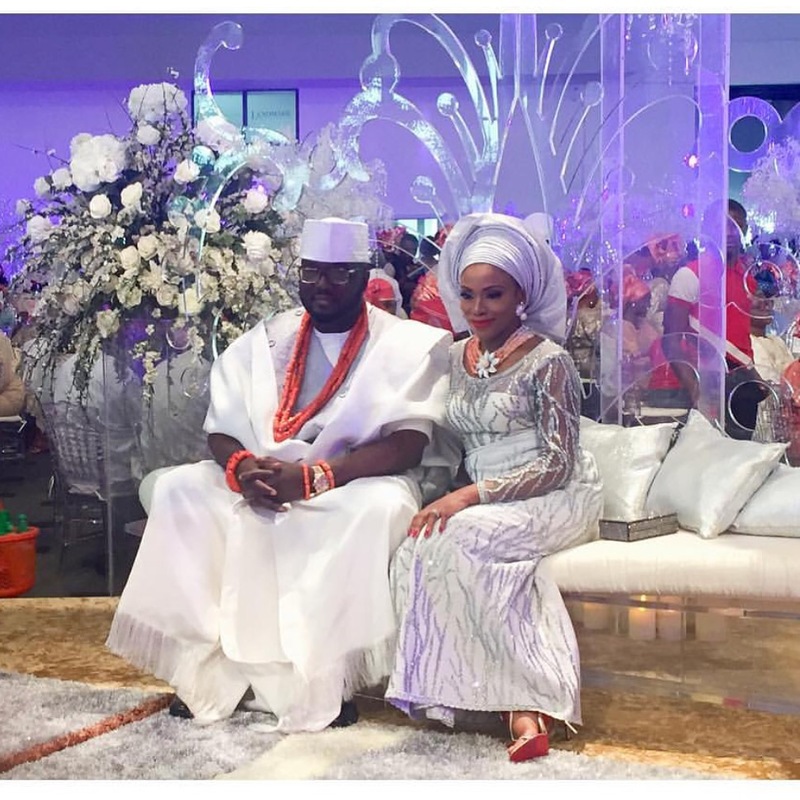 Ooni’s first son married an Hausa woman. Not all elites like Banke’ s makeup, other people are doing makeup for more elites. Congrats dear Dolapo, God bless your union. I love and I admire u so much. Didnt even know who she was until a moved to lagos like a year ago, let alone know the husband,i dont hear about them. Guess they are big in their own way. So the Ooni of Ife is really dead. & the Oba of Benin is also dead, sure it will be announced at the end f this month though since it will be 3months then. BN, u welcome! Welcome to lagos grace. I presume you moved from village or albeit you dont read bellanija. That is if you live abroad. My golden coin is you just moved from the village. Hence you dont know who the couple are. Hope lagos is not too intimidating and too rowdy for you. Shut up joor! Must she know dem?are they feeding here?knowing them don’t make her enlightened and not knowing dem doesn’t mean she is from the village.some people don’t even know jayz and Beyoncé.aunty I too know.gerrara here mehn. @julex, she does look pregnant to me too. some of us ehn. lets wait and see…. Happy Married life to them. It’s nice to do something unique but mehn it usually takes a lot. Surprised no guest mistakenly wore the same material as the bride.